When anchored to an overhead lifeline system, users can safely walk over a ledge, a narrow surface, or other high object. With conventional lifeline systems, users who are anchored to the same trajectory have to disconnect from the lifeline in order to pass each other. In our vision, this is unacceptable. XSPlatforms is the only manufacturer that offers a multi-cable lifeline solution which allows users to safely pass each other, without having to disconnect. 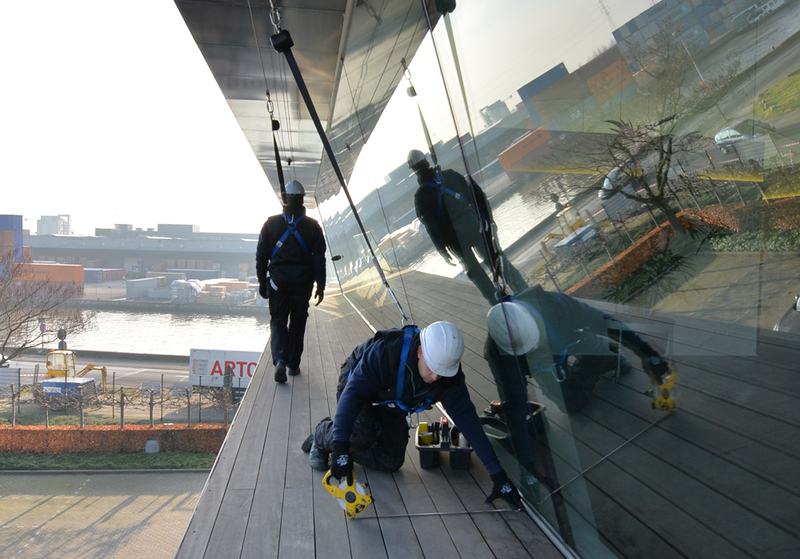 LinkedPro allows multiple users to efficiently work together on a narrow ledge, without compromising safety. 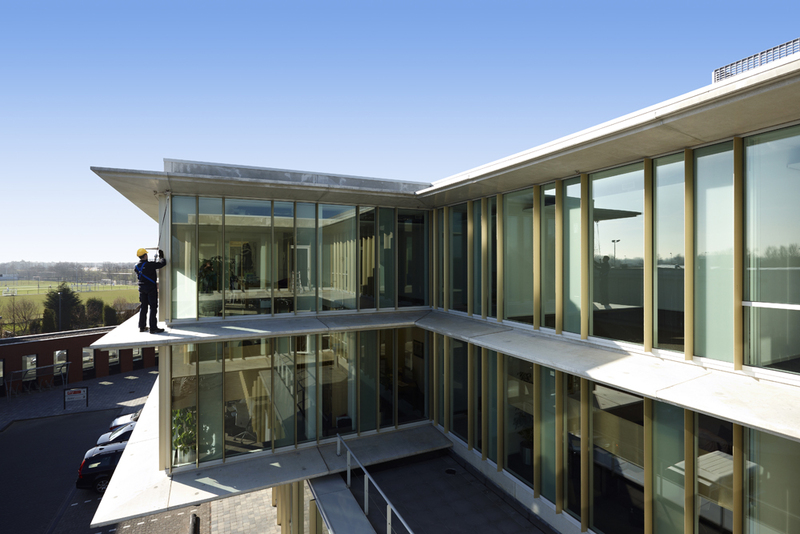 Our lifeline systems are designed to make fall protection easier for everyone involved: users, customers and suppliers. 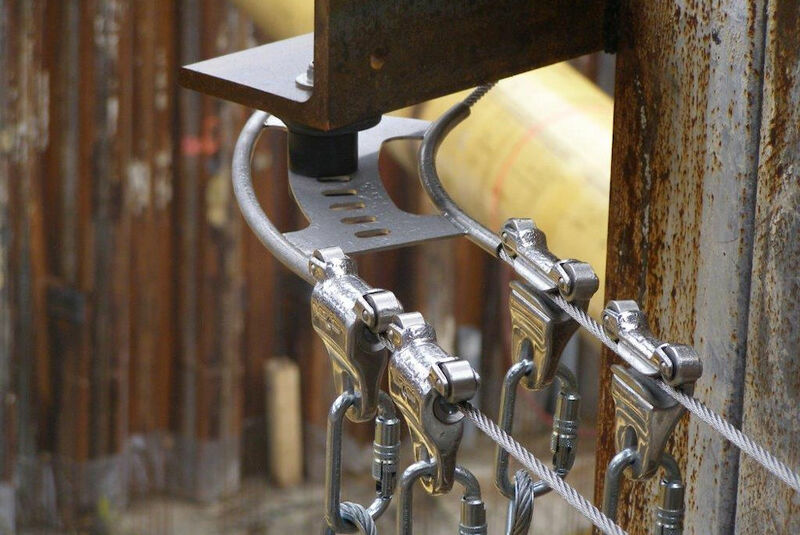 XSPlatforms offers a complete range of solutions for overhead lifeline tracks that can be mounted on steel beams, concrete surfaces, or plywood surfaces. 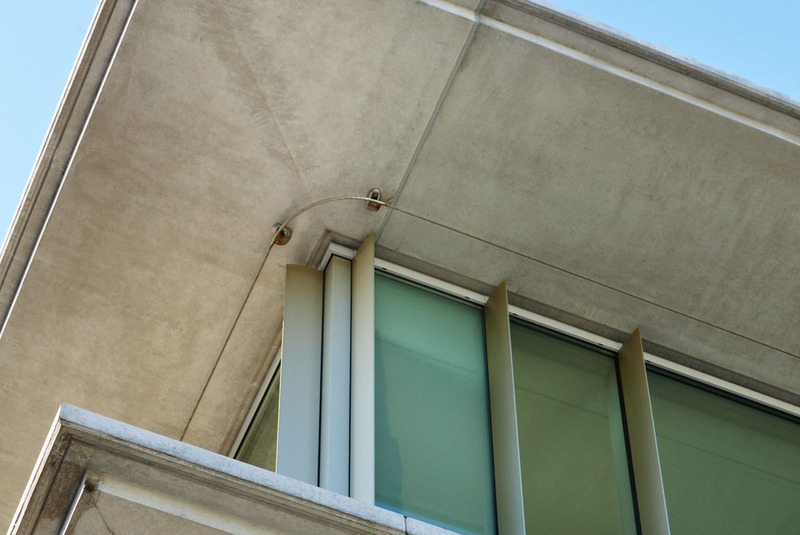 The requirements for an overhead lifeline depend on a number of factors, including the fall height (or clearance), the surface to which the system is mounted, the desired number of users of the lifeline and the applicable standards & regulations. XSDynamic prevents damage to the surface of the structure at the points where the system is anchored, by absorbing the forces generated by a fall. XSPoint provides extra risk reduction by making it impossible for users to disconnect from the lifeline in an unsafe zone. Both our lifeline solutions can be supplemented with these additional components. Furthermore, XSPlatforms can provide all the Personal Protective Equipment that is necessary to work with an overhead lifeline, such as safety harnesses and automatic fall arrest devices. A LinkedPro system consists of two lifelines. Workers can use different lifelines, so they can pass each other without disconnecting.